You might have noticed some green, black or brown spots growing in your aquarium if you’ve one in your home or office. They can become quite unsightly and you’ve probably been wondering how to get rid of all those lumps of vegetation and spots. These are the plants, known as algae. Algae eating fish are the answer! Oto Dwarf Suckermount catfish feed on algae without causing harm to plants. When algae is allowed to dominate the aquarium it uses up all the carbon dioxide in the water and uses the nutrients to grow. Algae causes nitrates and phosphates to build up in the aquarium which are harmful to the plants and fish. The algae grows extremely fast detracting from the clarity of the aquarium. Algae denies the useful plants the nutrients needed to survive. Algae eaters are an add-on for every aquarium and pond. They ensure that algae doesn’t survive in the water by eating it. There are various types of fish you can introduce into your aquarium, but you first need to consider the size of your aquarium. Some algae eating fish cannot survive in too much water and so you need to know which type of fish suits the given amount of water capacity. Siamese algae eaters are among your best options. They grow up to 5 inches and are suitable to add to water tanks of about 20 gallons capacity. They fit in to most aquariums and feed on all algae without causing any damage to your plants. Siamese algae eaters have a healthy appetite and they’re also not fussy eaters. They feed on everything they come across. From the top to the bottom of your aquarium they keep it nice and tidy. Oto catfish are another good option. Unlike other fish they don’t grow too big. They grow up to a maximum of 2 inches and remain slim. 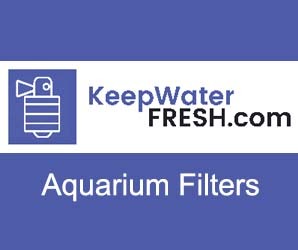 This makes them ideal for aquariums because they don’t cause problems for your filters. They generally need to be kept in groups of 3 and they’ll happily feed on the algae without causing harm to plants. The best snail species you should buy is the Netrite snails. This snail clears out all the algae while not causing harm to your plants. When choosing shrimp, Cherry Shrimps or Amano Shrimps are the best options. The advantage of these algae eaters is that they don’t uproot or damage your aquarium plants. Although they clean the plants, the plants won’t be damaged, remaining intact. They only eat the algae. We found this video showing a Spiral Horn Nerite Snail. There’s no music or narration, but watching the little snail eating until his heart is content…priceless! These are very delicate. They need to be introduced into an already established aquarium with fully cycled water. Once they’re settled, they are an easy type of fish to keep. They can also be fed pellet food to supplement their diet to ensure that they perform effectively. By controlling algae in your aquarium, you’ll ensure your fish and plants have a healthy, balanced living environment. In general, the purpose of algae eaters is to play their part in the overall aquarium maintenance. 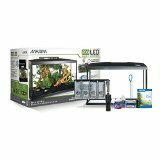 ensure that water circulation in the aquarium is on point. 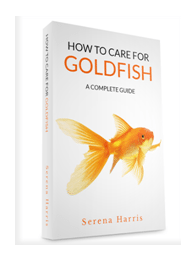 ensure that there are enough nutrients for the fish and plants alike. Click this link to find out more about 6 types of algae eating fish.